Chronic pelvic pain isn’t anything to be taken lightly. Not only can pain keep you away from work and daily activities, but it can also be a sign of a severe health issue. Leading OB/GYNs Shawn Osterholt, MD, FACOG, Richard McNeely, DO, FACOOG, and Curtis Orr, MD, FACOG are experts at finding the source of chronic pelvic pain so that you can get relief as soon as possible. Schedule your exam at OB/GYN LTD. in Springfield, Ohio, by calling the clinic or using the online booking feature. To help streamline your diagnostic process, keep track of your symptoms before your exam. Your dedicated OB/GYN needs to know what makes your symptoms better (or worse), when they occur, and exactly how they feel. When should I see a doctor about pelvic pain? 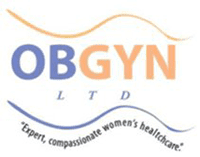 Your practitioner at OB/GYN LTD. is likely going to perform a pelvic exam to feel for abnormal growths or swelling. They could also order laboratory testing, such as blood work or a urinalysis. If you need further evaluation, your OB/GYN could suggest an ultrasound or another type of imaging test to find out what’s causing your pelvic pain. Your pelvic pain treatment plan depends on the cause of your pain, but usually, it’s best to start with the most conservative method possible. For instance, if you have severe menstrual cramps, taking birth control pills can help stabilize your cycle and decrease abnormal pain. Getting through pain from infections, such as bladder infections or pelvic inflammatory disease, could involve taking antibiotics to resolve chronic pelvic pain. Or, if you have fibroids, cysts, or other types of growths, you might need to have them removed through a surgical laparoscopy. Find out what’s causing chronic pelvic pain and start your treatment plan by calling OB/GYN LTD. or by using the online booking feature.